Senior politicians have challenged the use of violent imagery by some Conservative MPs as they attack Theresa May over her Brexit proposals. Anonymously, the MPs have suggested that the Prime Minister would be “knifed in the front” and should “bring her own noose” to a meeting with Conservative backbenchers. The Tory MP told BBC Radio 4's World At One it was "clearly unacceptable" and was "a shame on them, it's a shame on the Conservative Party". Brexiteer Mark Francois said the language was "unacceptable" but that he would not tell Chief Whip Julian Smith how to do his job. He hit out at a "bunker mentality" in Downing Street, telling BBC Radio 4's Today: "The problem is that there is a lot of frustration on the backbenches at the moment, both among Leavers and Remainers, at the general state of play. "When you try to convey that to Number 10, no-one is listening." Pro-Remain Tory Anna Soubry attacked him on Twitter afterwards, saying she was "appalled" that he had tried to excuse the "disgraceful and dangerous language" used. 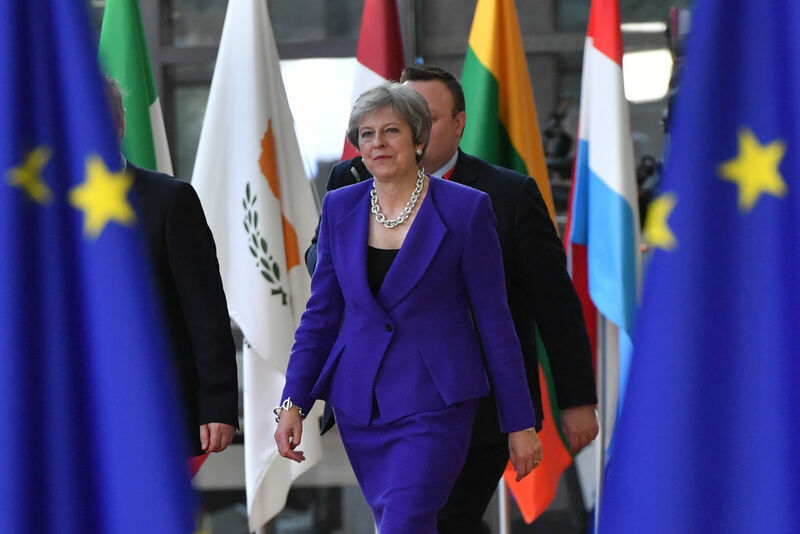 Theresa May is expected to tell MPs on Monday that the Brexit deal is 95% complete. In a Commons statement following talks with EU leaders in Brussels, the Prime Minister will say the "shape of the deal across the vast majority" of the withdrawal agreement is now clear. The issue of the Irish border, though, has been suggsted to be part of the 5% that is not yet agreed. The Prime Minister will say: "As I set out last week, the original backstop proposal from the EU was one we could not accept, as it would mean creating a customs border down the Irish Sea and breaking up the integrity of the UK." Labour's Yvette Cooper, chairwoman of the Commons Home Affairs Committee, said Tory whips should reveal the MPs using "vile and dehumanising language". Ms Cooper told BBC Radio 4's Today programme that they were normalising violence a little more than two years after Ms Cox was brutally murdered in the street. She said: "This is vile and dehumanising language towards a woman MP, towards a Prime Minister who, no matter how much you might disagree with her, is someone who is doing a job in public life. "Nobody should be subject to that kind of violent language which I think is normalising violence in public debate at a time when we lost Jo Cox, we have had threats against Rosie Cooper, we have had other violent death threats against women MPs. "It's about time we do know who that Conservative MP who is making these threats because maybe if they use that language they will stop doing so if they are being called out publicly from using that kind of vile and irresponsible language again."